“I can’t say enough good things about Alaskan, from Scott the consultant with his knowledge and professionalism, to Tyson and Daniel who did the installation of my AC and their great attention to doing the job right. Hard to find a company today who still believes in such great customer service. 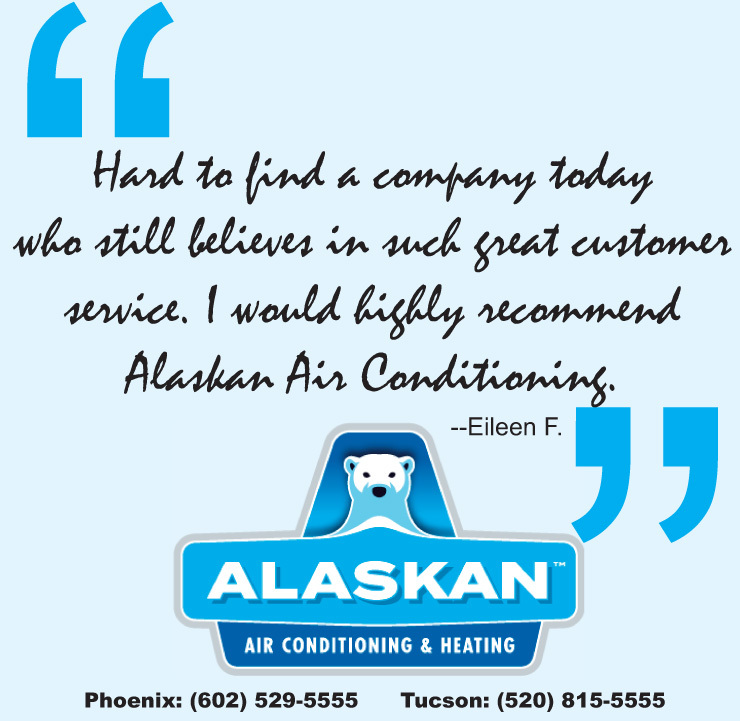 I would highly recommend Alaskan Air Conditioning.”–Eileen F. Thank you for your kind words, Eileen. It’s reviews like yours that keeps us motivated to provide the best in sales, service and support for HVAC services for homeowners and businesses in Phoenix, Tempe, Mesa, Scottsdale and Tucson. By Denise Tudor|2018-07-27T19:47:24+00:00July 27th, 2018|Uncategorized|Comments Off on Reviews Like This One is Why We Do What We Do!